By ratifying the ILO Conventions on freedom of association and the right to collective bargaining (Nos. 87 and 98) member states undertake the obligation to bring national legislation and practice into full compliance with these international labour instruments. However, the question is whether the countries actually implement their international commitments. This comparative paper studies the effectiveness of compliance with Conventions Nos. 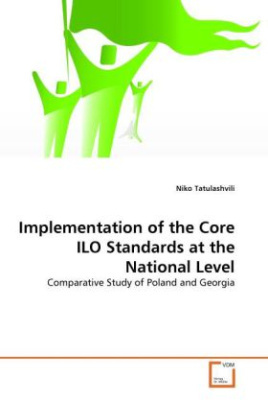 87 and 98 in two ILO member states, Poland and Georgia. For this assessment of compliance, the actions of governments and domestic courts are analysed. The paper intends to show the reader the influence the ratified ILO Conventions have on the national level and reveal the gaps in national legislation and policy that impede effective protection of basic workers' rights. The author further intends to remind national policy makers and legal practitioners of the importance of the principles on freedom of association and the right to collective bargaining and to make recommendations on how to implement these labour standards effectively on the national level. In this way, making a decent life real for all.